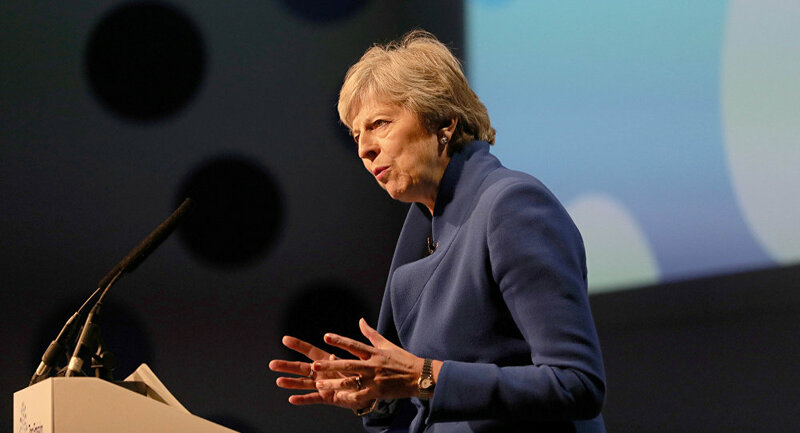 About 50 Brexiteer MPs have discussed ways of getting rid of British Prime Minister Theresa May during a private gathering of the European Research Group, in a sign that she is facing a "potential leadership challenge within days," according to The Telegraph. The Conservative MPs reportedly plotted to initiate a no-confidence vote in Mrs. May over her blueprint on Brexit, the so-called Chequers plan, which they warned should be killed off as soon as possible. "If she won't chuck Chequers then I'm afraid the [Conservative] Party will chuck her," one of the MPs was quoted by The Telegraph as saying. To trigger a vote on May's leadership, Tory MPs need to submit at least 48 letters of no confidence to the backbench 1922 Committee chairman Graham Brady – a process which is reportedly already under way. Meanwhile, May's spokesman reportedly underscored that the UK Prime Minister would combat "any attempt by her lawmakers to oust her". The development comes after former UK Foreign Secretary Boris Johnson told a rally hosted by the Tory grassroots group Conservative Home that London's Brexit talks with the EU were "verging on the humiliating." Johnson also made it plain that even though he is not going to take part in ousting May, her soft Brexit blueprint is "substantially worse" than staying in the EU. Earlier, one of Johnson's close allies was cited by The Guardian as saying that the former Foreign Secretary is interested in replacing the UK government's policy rather than the Prime Minister. Another Johnson ally suggested that he "will continue to throw rocks at Chequers because he thinks she [May] should be changing direction." Approved by May in July, the Chequers plan specifically stipulates that London and Brussels could create a free trade area for goods and maintain a "common rulebook" for all items, a proposal which has already been rejected by Brussels.